Fertilizer applications need moisture to work best. 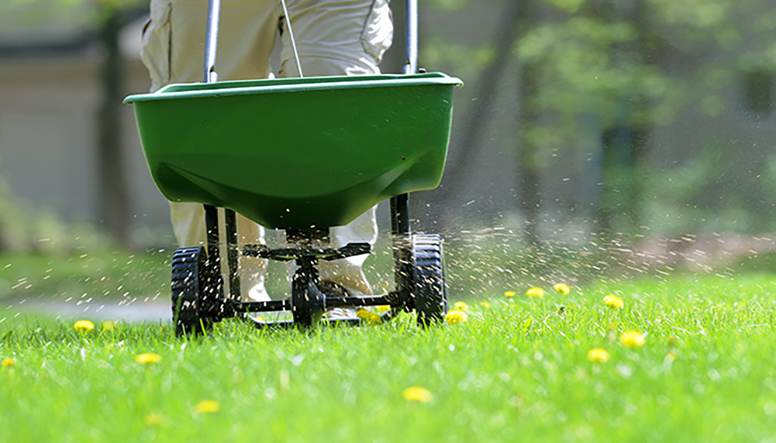 Watering your lawn in the spring may seem counter intuitive given the rainfall that some climates receive, but watering your lawn regularly is essential to help the grass grow strong. Consider watering your yard in the morning before 10 a.m., as this will allow the lawn time to soak up the water and dry out under the afternoon sun. Watering in the evening or at night may seem smart, but it can actually cause lawn care problems such as disease and fungi. « What is the Difference Between a Deposit and a Down Payment?